The new Mr. and Mrs. Leazenby tied the knot! The ceremony was held in the chapel with the reception following in the ballroom. 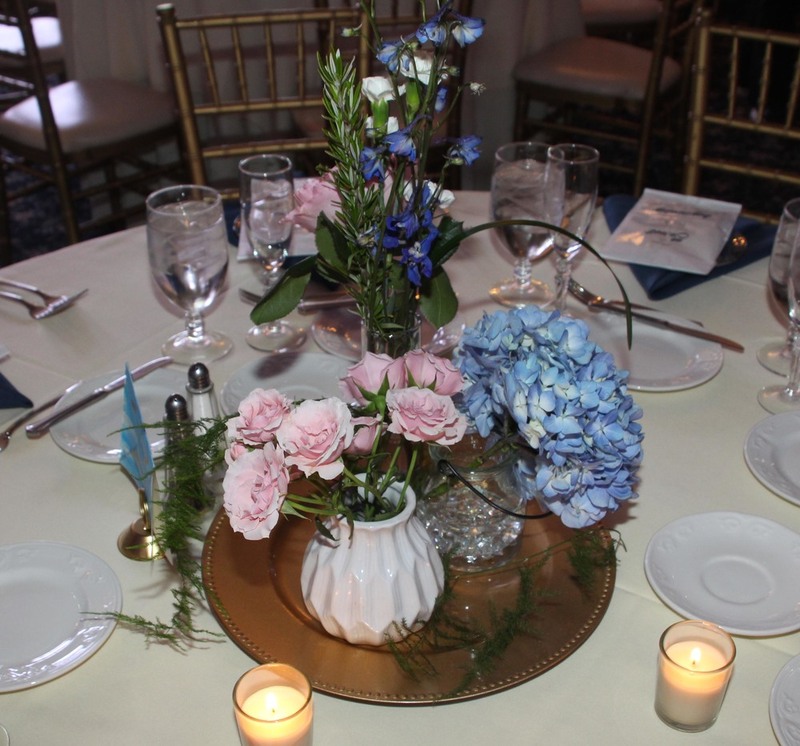 The colors were navy and gold with touches of pale pink in the flowers. 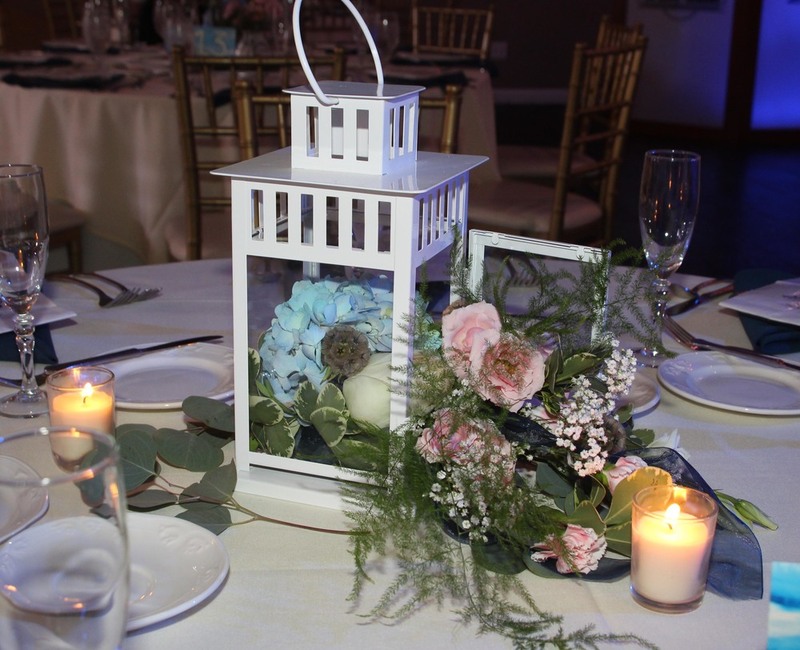 I loved the twist on the lanterns with the flowers coming out. It was really unique and pretty. 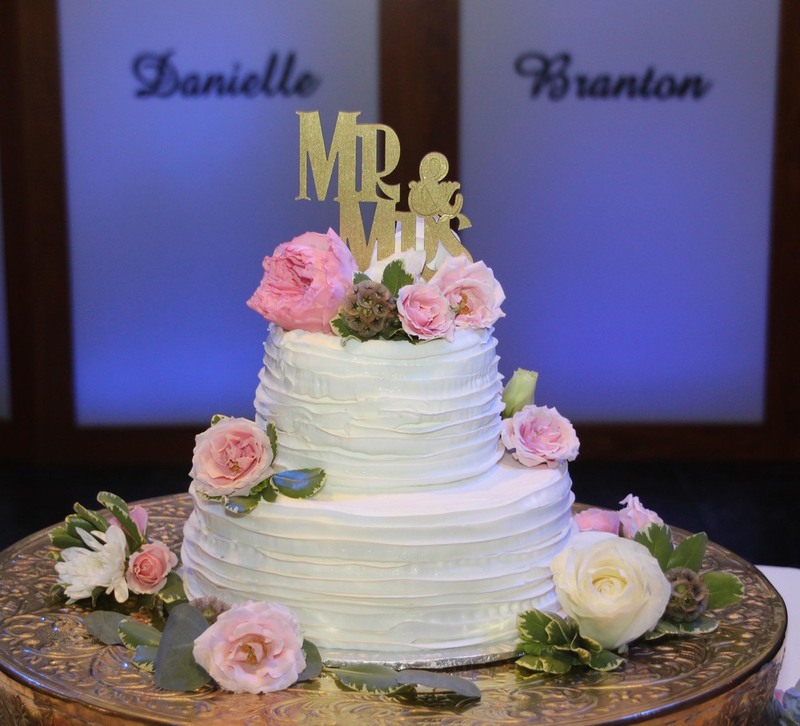 It was clear that Danielle and Branton's faith is very important to them. They had a traditional guest book but also had their guests highlight their favorite bible verses and leave a post it message next to it. Newer PostAdam & Amanda Bruns!